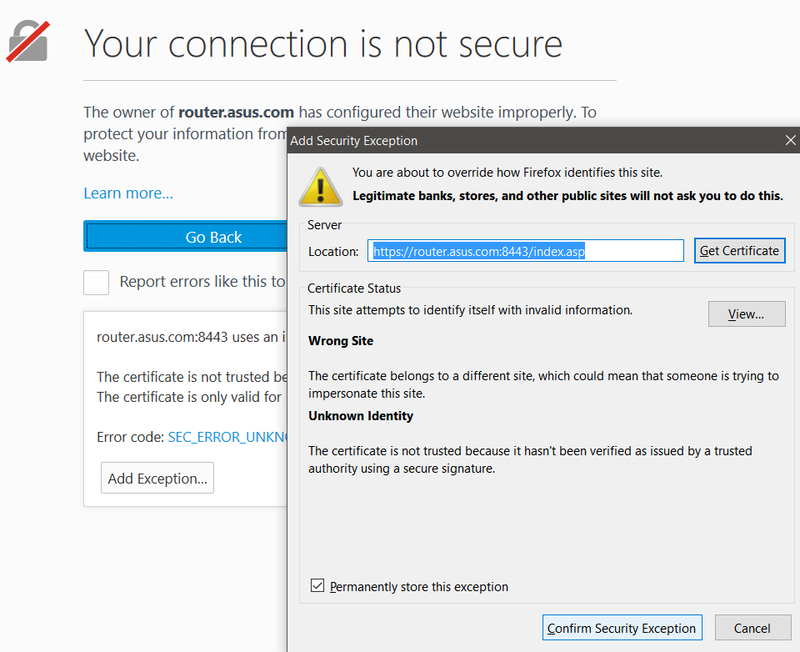 If you changed the web access of your ASUS router to https “https://router.asus.com:8443” and you’re unable to access the web GUI after rebooting your router, you can get around it by deleting and adding back the router’s SSL Certificate in your web browser. 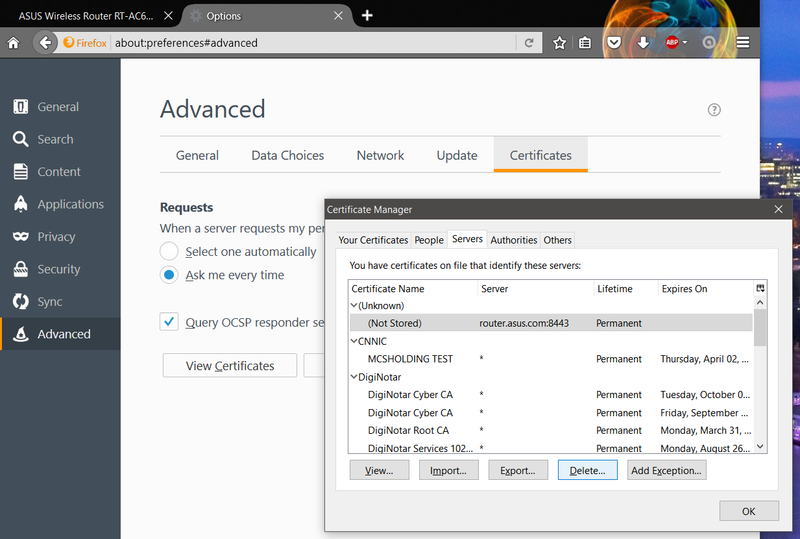 The example below is for firefox but the same work around can be applied to Chrome and IE, just the location of the SSL Certificate is different in the browser’s options. 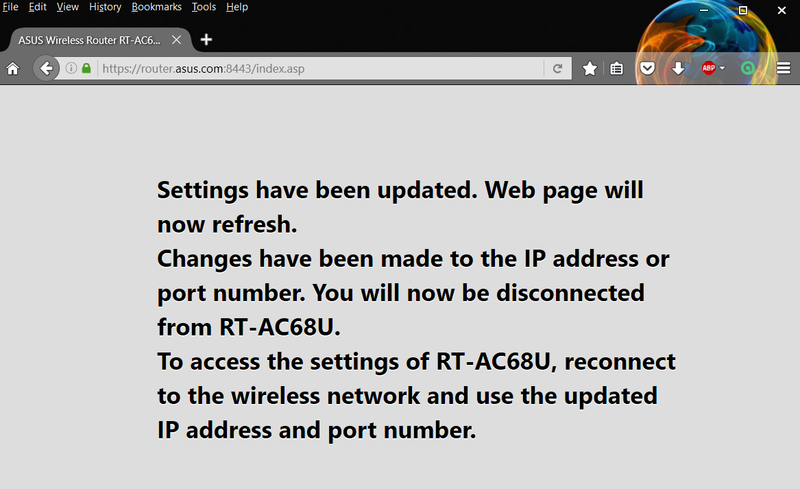 Go “Servers” tab and delete the router.asus.com:8443 entry. Next, go to “Authorities” tab and delete the IP address entry of your router. 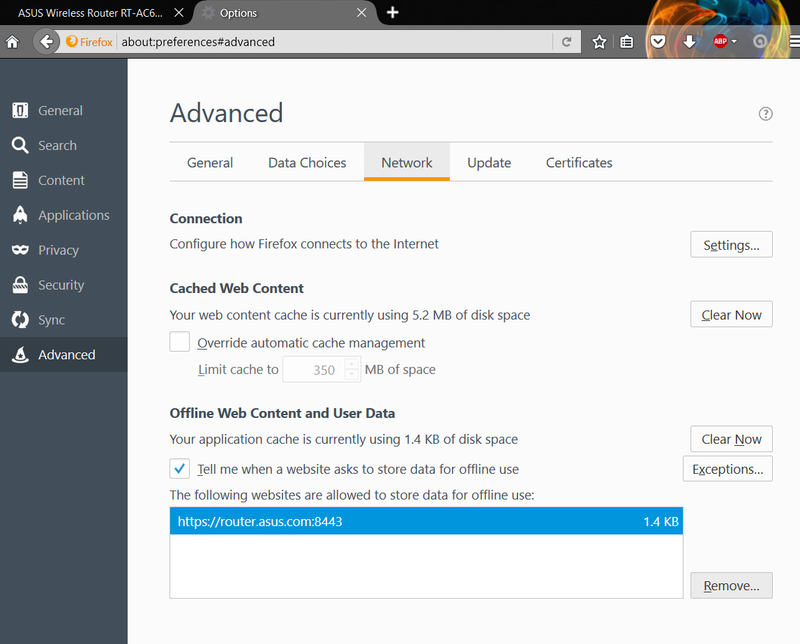 Also, remove the “Offline Web Content and User Data” under the “Network” tab. You should be able to get the ASUS GUI “SIGN IN” back under https. To fix this issue permanently, you need to upload your custom self-sign certificate to the router’s nvram.